The circular compression on the hip and thigh ensures the required compression of the operation site and supports the direct postoperative positioning of the treated hip joint. At the same time, the elastic tension on the thigh counteracts the usual external rotation of the leg. 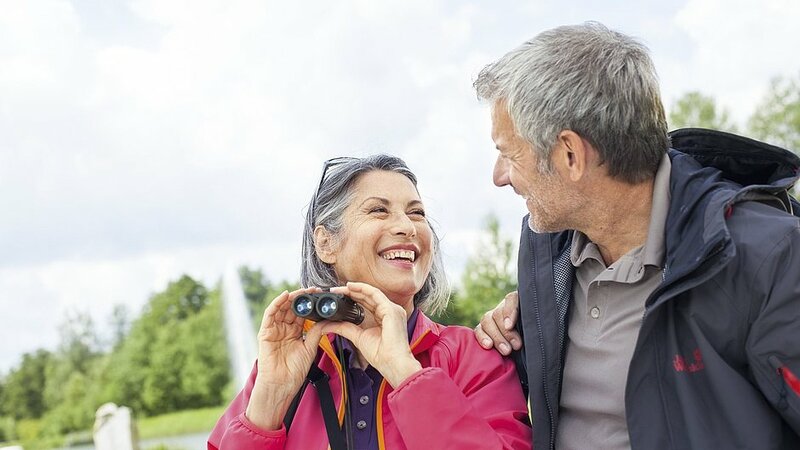 The compact design of the hip rotation support limits involuntary and uncontrolled movements, and offers the patient the additional sense of security that is necessary for rapid and wide-ranging mobilisation. The use of medi orthocox simplifies compression treatment of the leg and pelvis in hospital and during rehabilitation and thus makes a lasting contribution to the treatment results with better economy. 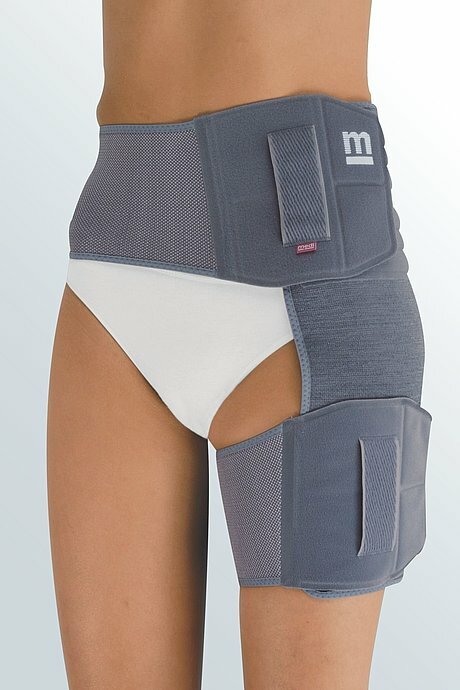 medi orthocox is worn around the hips and the thigh. For hip compression pass the upper free end around your pelvis. Adjust the tension to vary the compression to suit the patient. Pass the lower free end around the proximal part of the thigh. The elastic tension of the material exerts pressure to reduce external rotation of the leg. 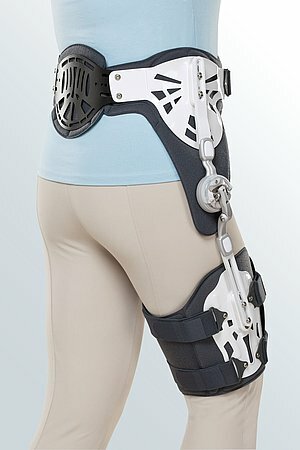 The free ends of the support are secured by broad hook and loop fasteners, thus enabling the patient to ad-just compression and thigh rotation independently. Close all the hook and loop fasteners before washing to maintain their function and avoid damage to other articles. Wash the support in a normal washing machine with a non-bleaching detergent. Do not use any softener. How to use our medi orthocox hip rotation supports. Date of issue: until December 2017.